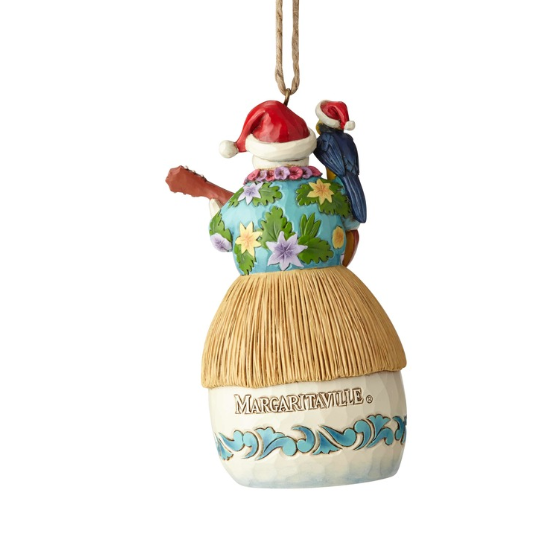 Take a trip to Margaritaville with Jim Shore’s collection of tropical ornaments. 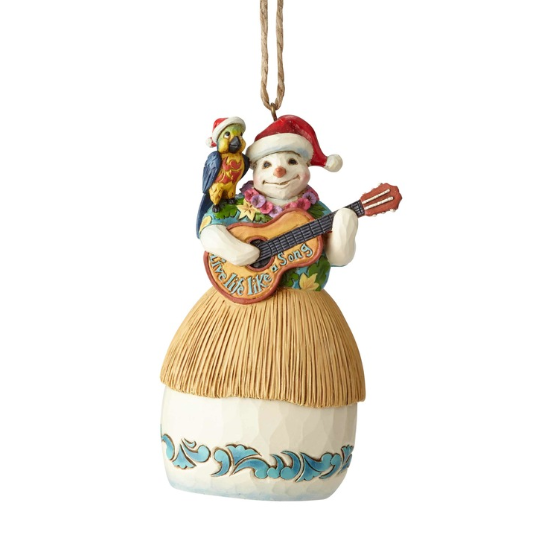 This cheery snowman lives his life like a song, wearing a hula skirt and lei while strumming his guitar. A festive parrot perches on his shoulder, enhancing the island vibe.